No, this is not another post about Will and Kate, as delightful as that was. This is a post about my daughter, Liz, and her soon-to-be-husband Greg. Yes, my little girl is getting married, and for at least two families this will be the wedding of the year. It is still a couple of months away, August 27th to be precise, but that doesn’t mean that preparations are not fully underway. Pam has chosen her dress and had it made, although like any sensible husband I am giving her full autonomy to change her mind and choose another before the big day. That is her prerogative. Liz has had her dress chosen for some time now and has been wrestling with the thorny issue of what the bridesmaids are to wear for some weeks. I think that little storm has abated. Not to keep harping on Kate, the new Duchess of Cambridge, but I thought it was most sensible of her to have just one bridesmaid. So much easier to manage! I am delighted to have received my invitation in the mail this week. I was beginning to think I might have left off the list, LOL! The invitations are just beautiful with a little ribbon holding them together and just a charming picture of Greg and Liz (which I have reproduced here). Pam is home for the birth of Jon and Nic’s third child, but she will stay through to August to help Liz with the preparations. 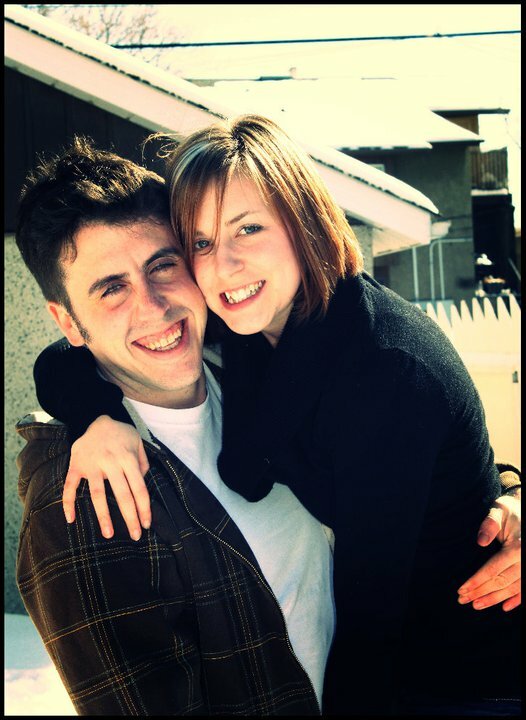 The wedding will be in London, where many of the family are located, while Liz and Greg both live in Calgary. Pam can be very helpful with all that has to be done while she is home. This is clearly not the optimal arrangement for Pam and I, but the best we can manage in order to continue to be supportive parents for our children as they move into marriage and children. Obviously I would just as soon be home myself, if that was possible. But the reality is that neither of us can manage the cost of airfare home, and my employer will only fly us home once a year. We have to manage our parental responsibilities within that framework. Sometimes that means that I have to stay here and work so Pam can be home. But distance is nothing in the presence of God. I may be thousands of miles away, but my thoughts and prayers are with the family I love. I am praying that the Lord will make this year a special blessing for all of us. That’s a long haul for you, Steve. I hope the weeks move quickly until you are all together again, celebrating babies and weddings! Thank goodness for Facebook and Skype so I can keep in touch. It is a long haul, but I am glad that Pam gets to spend some time with the grandkids that she misses so dearly.